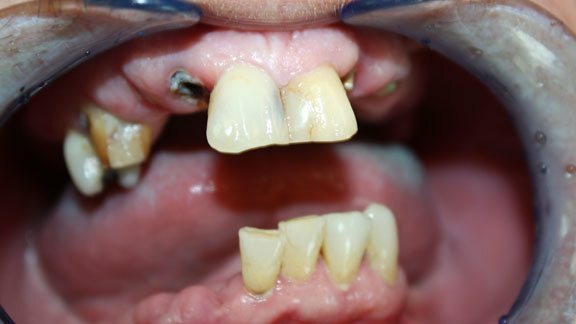 Living with multiple missing teeth or a full arch of missing teeth can result in many health and aesthetic complications. From embarrassment of an imperfect smile to difficulty eating and chewing, quality of life significantly decreases when teeth are lost. If you suffer from extensive tooth loss and are looking for an alternative to dentures, full arch dental implants may be the solution for you! We offer All-on-4® dental implants and implant supported dentures. These two options eliminate problems associated with tooth loss, help restore long-term oral health, and give you a reason to smile confidently once again! Both All-on-4 dental implants and implant supported dentures utilize the strength and durability of dental implants to create a long-term solution that is more stable and healthy than traditional dentures. Dental implants mimic tooth roots, providing natural stimulation to the jaw bone. Because dental implants fuse securely into the bone, they do not shift or loosen, if cared for properly. 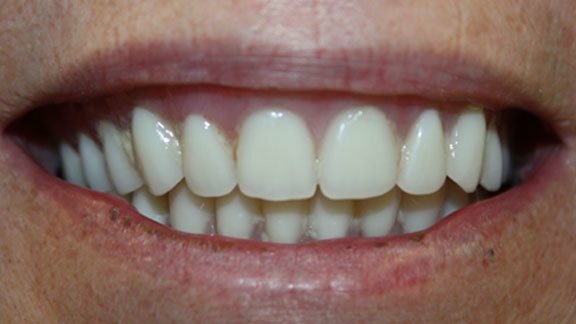 This permanent foundation can fully stabilize a life-like denture or prosthesis, making it nearly impossible for you or anyone else to differentiate them from a full arch of natural teeth! All-on-4 dental implants rely on four dental implants placed at strategic angles in the jaw to make the best use of remaining bone volume. This solution is ideal for patients suffering from bone loss due to missing teeth. Implant supported dentures use anywhere from two to eight dental implants placed in the jaw to support a full-arch denture. This added stability to a denture prosthesis eliminates any slipping or clicking. We collaborate with a highly skilled periodontist who places dental implants in-house using guided implant surgery for greater accuracy throughout the treatment process. This ensures that your dental implants will be placed in the most strategic locations for long-term success. We restore all our full arch dental implant cases, customizing each prosthetic or denture to fit securely onto the dental implants and blend seamlessly into your smile. If you believe you may be a candidate for all-on-4 dental implants, we encourage you to schedule a consultation with our office! We are located in Coconut Creek, FL, but we also serve all-on-4 dental implants to Parkland, FL residents and the surrounding areas. A confident new smile begins with a call to our office.